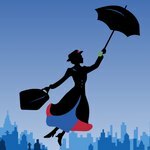 Our production at the end of the summer is “A Spoonful of St John’s” inspiredby Mary Poppins. The learning is already under way. Class 5 have been studying the early 1900s and the Suffragette movement, lifestyle andattitudes of the period. Singing and dance will be a big part of this show and it promises to be spectacular! We are very grateful, again this year, to Walthamstow Hall for allowing us to stage this performance in their ShipTheatre. Performances are at 2pm and 6pm on Friday 15th July, if you would like to come, please phone the school office, 01732453944, to secure a seat.